Mid Century modern designed by famous mid century architect Donald Wexler! 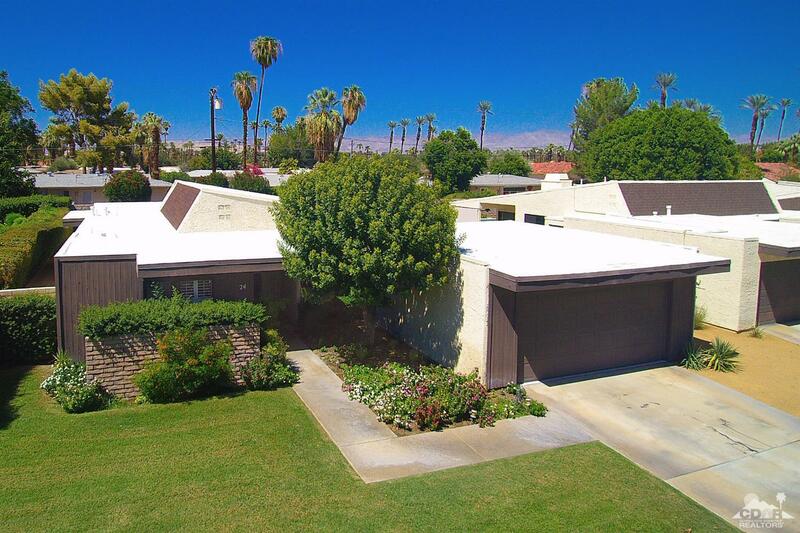 Located in Rancho Estates in coveted Rancho Mirage! Large great room, walls of glass surround with sliding glass doors that open to large and private backyard w/ covered patio & lounging area. Fireplace, wet bar, dining room, remodeled kitchen and baths & all new carpet. Kitchen w/slab granite, new cabinets, stainless steel appliances, open to light & bright breakfast nook. Master Suite with sliding glass doors to the patio, updated bath w/ granite counters & glass doors open to the gardens. BR 2 w/custom built-ins flexible to office or bedroom w/lots of natural light & private patio. Bedroom 3 also has glass sliders to gardens. Finished garage w/painted floors. Land lease is bonus extended to 2067 beyond some others in complex. Exclusive gated community w/low HOA, tennis courts, community pool, and includes front yard maintenance to the expansive lush front yards. Classic mid century move in ready!